Look at all the great chocolate goodness I have used. And it is all calorie free. I used a stack of brown scraps and made long strip sets. I then cut out my units and got 4 Honey Comb blocks done. I have both Dark Chocolate and Milk Chocolate blocks now. 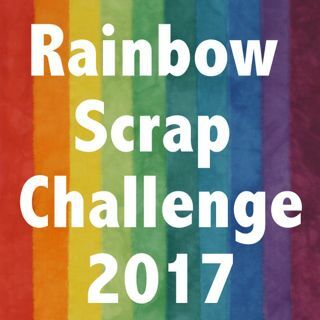 This post is linked to Soscrappy and the Rainbow Scrap Challenge 2017. I have been looking around to see which quilt blocks I might do next year. Near the bottom and just to the left of center is the Hershey kiss fabric. Also to the right is the truffle chocolates too. I had the strips done back in Oct but did not get the blocks done on time. Orange was the colour for October so I am a little late. Most important is they got done. The darker orange fabrics for this block. The lighter orange fabrics for this block. I love the milk and dark chocolate blocks! You have a fun variety of brown scraps! Maybe I would find it easier to work with my brown scraps if I thought of them as dark and milk chocolates! These are great blocks. This is such a cute block, and it looks like a great scrap buster, too! Mmm...chocolate donuts! Orange and the chocolatey BROWN blocks!! Hooray!!! These are all so pretty, lovely use of those scraps.